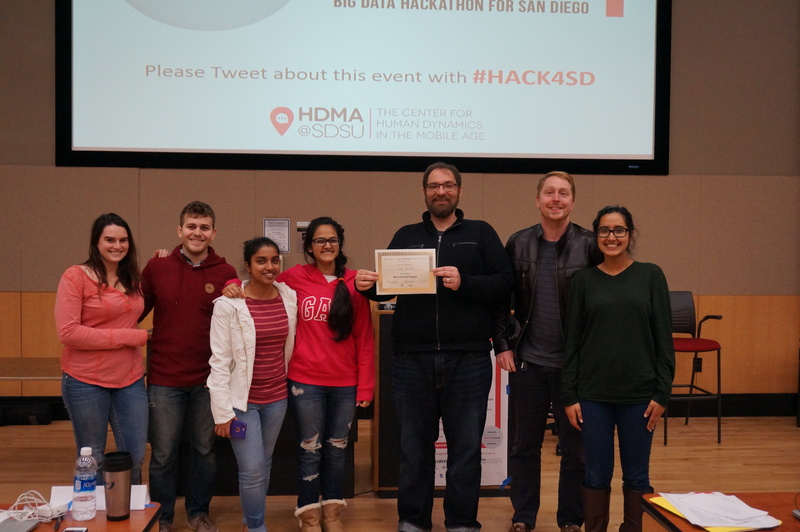 The second Big Data Hackathon for San Diego organized at the San Diego State University provided the platform and resources needed for students and collaborators from varied disciplines to come together and develop projects that will benefit the San Diego community. This event took place on February 18-26, 2017 and brought together collaborators from SDSU, UCSD, TAMU, Oregon State University and local high schools. The theme for the hackathon this year was Public Health and at least 18 unique, exciting public health ideas for the San Diego community emerged in this event. 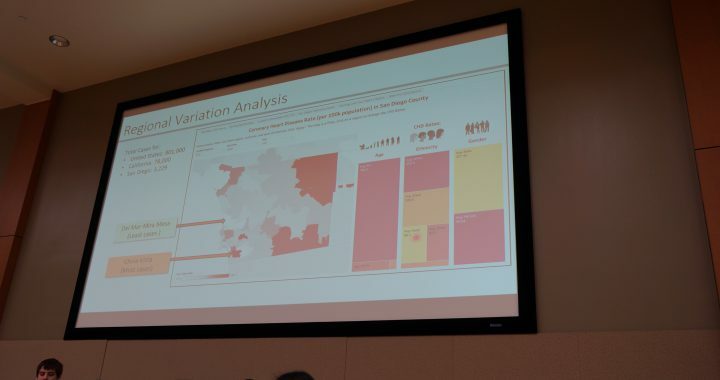 Ideas ranged from individual health related concerns such as heart diseases, developmental disorders and mental issues to those targeting specific community needs such as access to safe drinking water, food banks and resources for the war veteran community in San Diego. Click here to visit the hackaton website! Click here to watch an overview video!